Agents can’t always look at the Twitter application because they are solving other user’s problems or they are busy with other tasks. That’s the reason they can’t always be in contact with the users on Twitter. 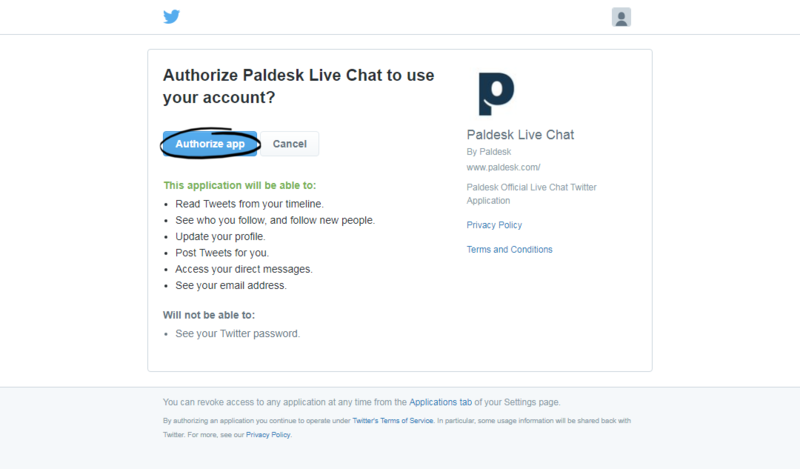 So, allow agents to be notified on Paldesk whenever users contact them on Twitter. 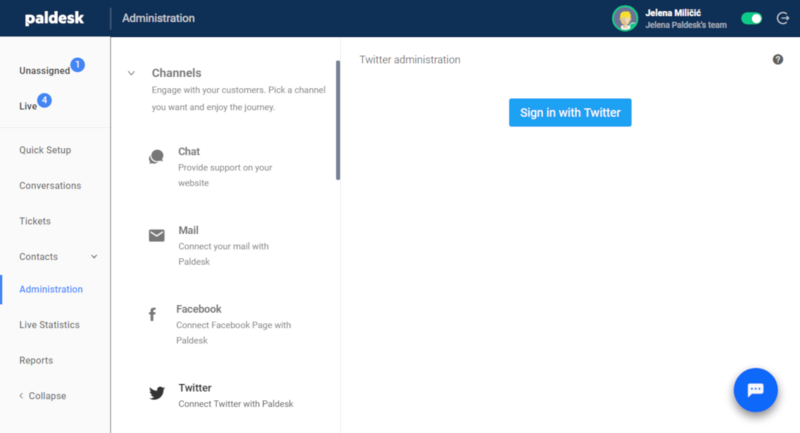 With Paldesk and Twitter, integration increase your conversion rates and provide brighter interactions! How to connect Twitter to Paldesk? Step 1: First of all, you have to be logged into your Twitter account that you want to connect with Paldesk. Step 2: Now it’s time for connecting your Twitter account and Paldesk. Go to ‘Administration’ and under the ‘Channels’ tab choose ‘Twitter’ icon. Step 3: When you click on Twitter icon, press on blue button ‘Sign in with Twitter’. Step 4: If you’ve clicked on the ‘Sign in with Twitter’ button, this screen will appear. Simply click on ‘Authorize app’ to proceed. When you are done selecting group and editing your messages, Click on ‘Submit’ button to finish. Step 6: After the step 5, you will have your Twitter account connected with Paldesk and ready to use. After you’ve connected your Twitter acount with Paldesk, you can delete,edit or add more accounts that you own. Now your agents can get notifications in real time.